Foundery is an idea network where entrepreneurs, visionaries, and skilled individuals create teams and businesses around ideas. 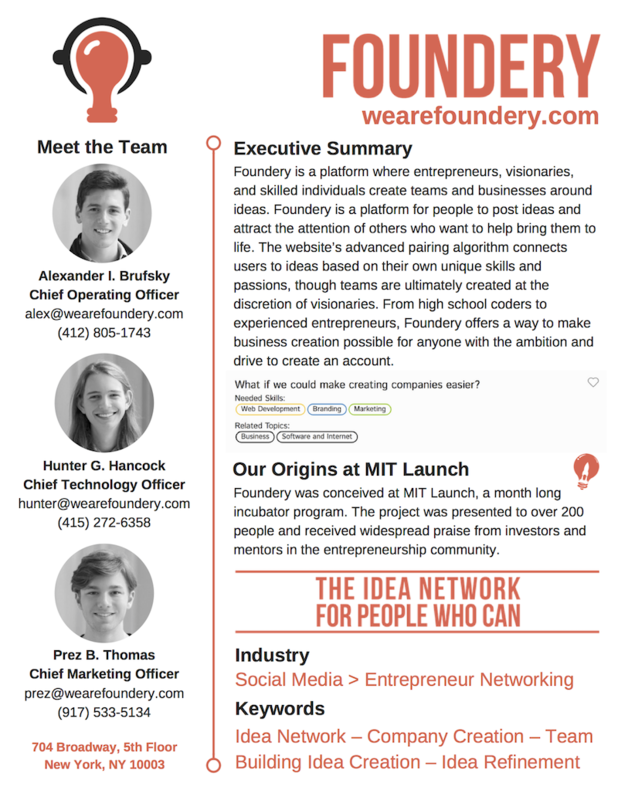 Foundery is a platform for people to post ideas and attract the attention of others who want to help bring them to life. Teams are ultimately created by the discretion of visionaries. 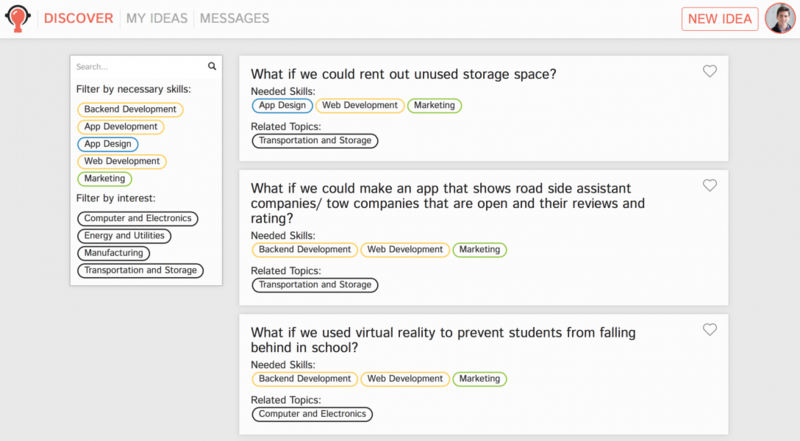 The website’s advanced pairing algorithm connects users to ideas based on their own unique skills and passions. From high school coders to experienced entrepreneurs, Foundery offers a way to make business creation possible for anyone with the ambition and drive to create and succeed. I am the Chief Operating Officer of Foundery as of October 2017. I am also a technical Co-Founder, and I have developed the back-end on Amazon Web Services leveraging lambda function, the neo4j graph database, and API Gateway. You can find Foundery here.